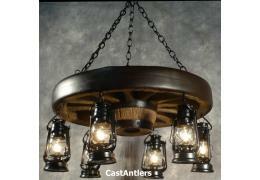 Made in the USA, reproduction Wagon Wheel Measures 30" wide with a large center hub that is 12" tall, weighs 25 lbs. Chandelier has 6 small 10" hanging lanterns (overall chandelier height is approx 22" w/ lanterns). Lanterns are available in black or brown (black shown). All wiring is internal. Entire fixture UL listed/approved. They require six 25-watt or 40 watt candle bulbs. Comes with enough chain to hang chandelier up to 5' from the ceiling. Ceiling plate and mounting hardware included. Why buy a reproduction wagon wheel? 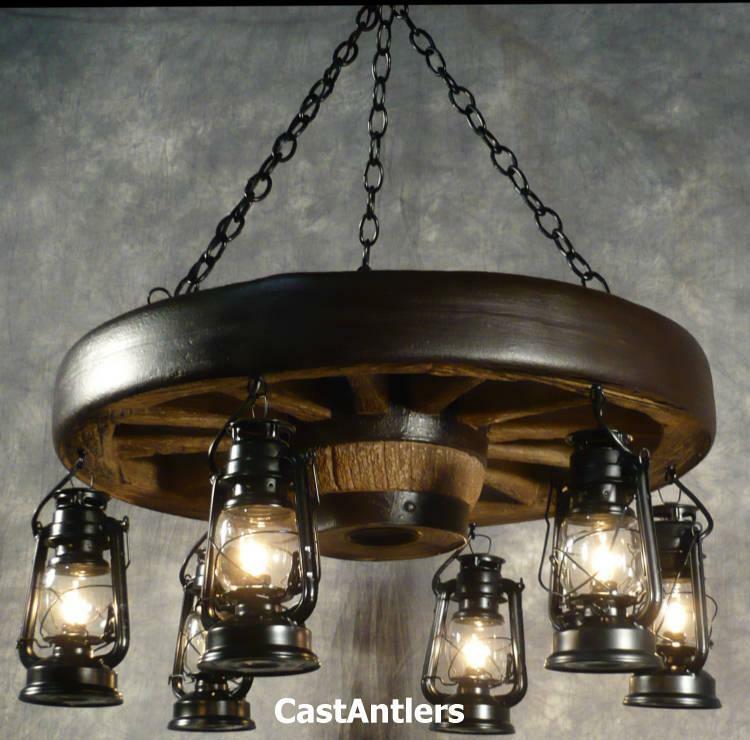 Wagon Wheel is made from a medium-density polyethylene material that is lighter in weight, but very durable (just like our high quality cast antler chandeliers! ).